The Big Wobble: Thousands of dead bees are washing up on a Florida beach in an area where last month 81 false killer whales died: Connection? Thousands of dead bees are washing up on a Florida beach in an area where last month 81 false killer whales died: Connection? Thousands of bees have washed ashore in an area where last month 81 false killer whales died, both species use magnetoreception to navigate which may suggest the Earth's magnetospher is failing. New research has shown in the most detail yet how rapidly Earth's magnetic field - which acts like a shield to protect us from harsh solar winds and cosmic radiation - is changing, getting weaker over some parts of the world, and strengthening over others. 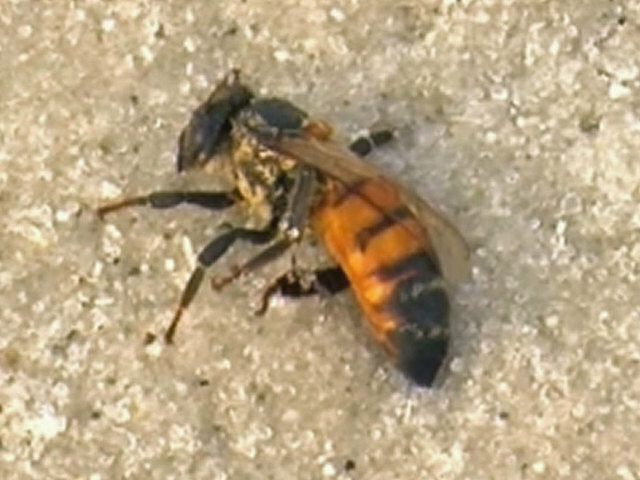 Some visitors said they're staying away after being stung while walking the shoreline. Many people said the bee problem has popped up during the past few days. Bee experts are describing the event as unusual and get this “uncommon behavior for bees to wash up on the beach!” Really? They said it could be from nearby pesticide spraying, forcing them to the water, or it could be a swarm that flew over the beach that became exhausted and flew into the water. Or probably more to the point they just don’t know why! 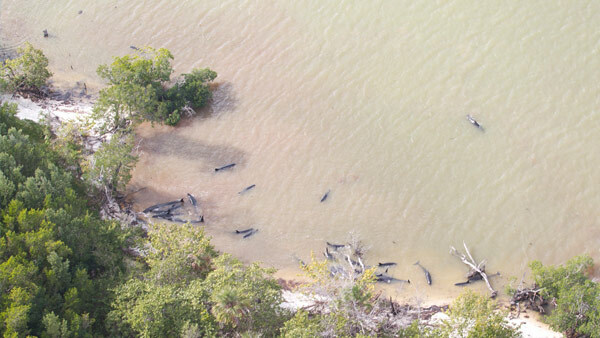 Just last month 81 false killer whales died after stranding themselves off the South Florida coast, see photo above. Then on Monday afternoon, NOAA Fish Southeast tweeted that 81 whales had died and also said the whales were at a remote location off of Hog Key in the Everglades. One whale was seen alive on Monday and 13 others are unaccounted for, NOAA Fish Southeast said on Twitter on Monday afternoon.